author. 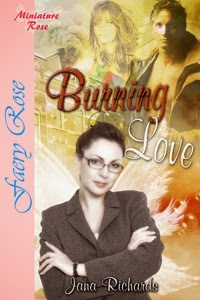 Today’s featured book is Burning Love by Jana Richards. three cooking fires in her apartment, Iris Jensen finds herself evicted and homeless. them. Can the angels convince them their love will last a lifetime? 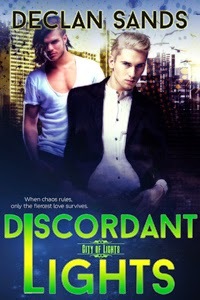 Romance Lives Forever welcomes author Declan Sands. the final, sweet coming together of two people who’ve gained a hard-fought love. each other, the more we love it! Sigh… It’s total food for the soul. them…their motivations…their needs. You want them to succeed in their struggle. You want to see them enjoy their hard-won love. But, alas, the book is over. And you quickly discover there’s an eagle turd in the love nest. that’s just what happens with relationships…even larger-than-life relationships. end is going to be sweet. Because that’s what romance is all about. God I love series romance. battles deadly fractures in pack alliances and fights his own personal vampire skirmish. human population living ignorant and helpless among them. Sometimes it’s harder to be together than it is to be apart. open spaces most shifters enjoy. 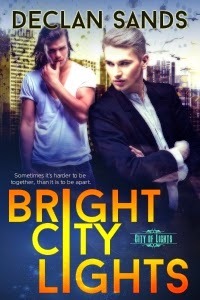 he’s determined to keep the city free of shifters to protect his secret. of distrust, along with a smoldering history that threatens to drag them under again. steps right into the murderer’s deadly path. been writing for over a decade under several noms de plume. young daughter. Or so it seems. suffering identical, always fatal mental breakdowns. you that makes it so you cannot do what it is you need to do during this story? My internal limitation is lack of understanding. author created, explain what it is you fear most. I fear the loss of all that I love and hold dear. and intelligent. She’s a registered nurse, working to become a nurse anesthetist. I love her more than anyone I’ve ever met. I’m crazy about her. What would that person say about you? She loves me. She likes my weird sense of humor. me a couple of times out here in Western Washington. is super progressive, but I do believe in a higher power. it to be, and why? An old girlfriend. Ella might not be too happy about that. a sequel, and that makes me happy. THE GAIA WARS, was optioned for a movie. are asking for one. I think that’s fantastic and I would love to oblige. for your interest and for considering my work! have been featured as Top 100 Bestsellers in Teen Literature and Fiction on Amazon. father and threaten her life. is determined not to become involved, but their pasts may make that impossible. As they move closer to the truth, saving Lacy may be his only salvation. since morphed into five stories. Suspense of any subgenre. 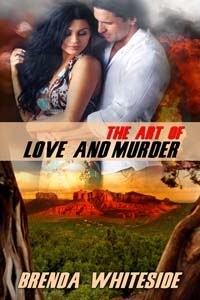 Romantic suspense in particular. the Prey series. I’m reading through the series right now so that could be the reason. But he’s one of those flawed characters that ropes me in. – Castle, Bones and The Mentalist. I actually love, love, love going to the movies. art left by her birth parents who died in an airplane crash when she was an infant. discovering secrets and lies that threaten her life. individual dreams and reap the benefits of combined talents.